Pool Pro is a pool simulator for the whole family. Modern 3D graphics and realistic physics. If you like this free game, try 8 Ball Pool. Pool Pro is an excellent pool simulator with modern 3D graphics, realistic physics and a wide selection of the rooms and textures to customize your billiards experience. Play against computer AI or your friends in hot seat mode! 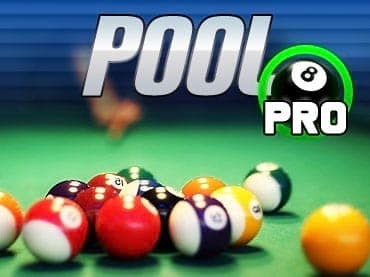 If you have questions about Pool Pro game, please contact us using this form.